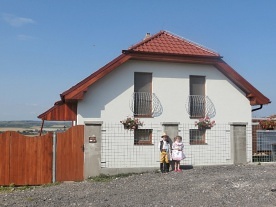 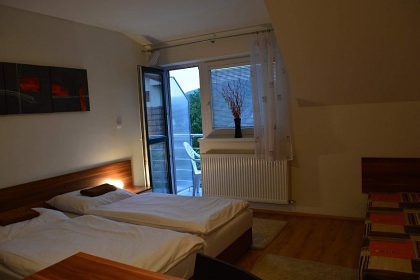 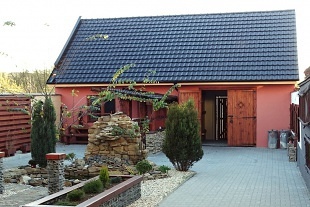 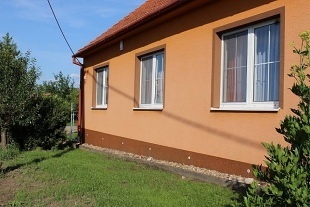 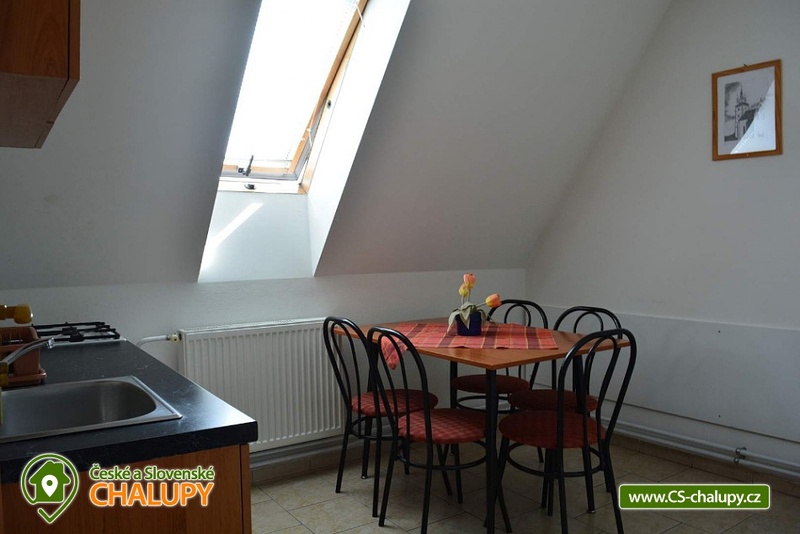 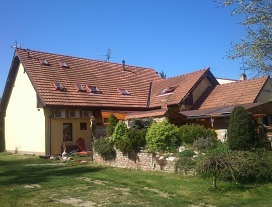 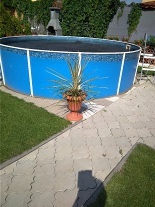 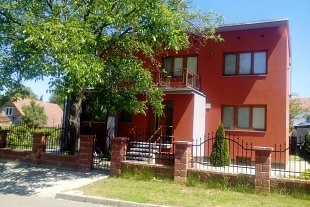 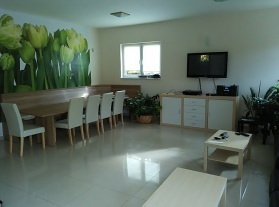 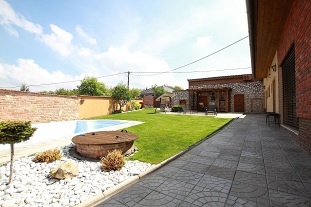 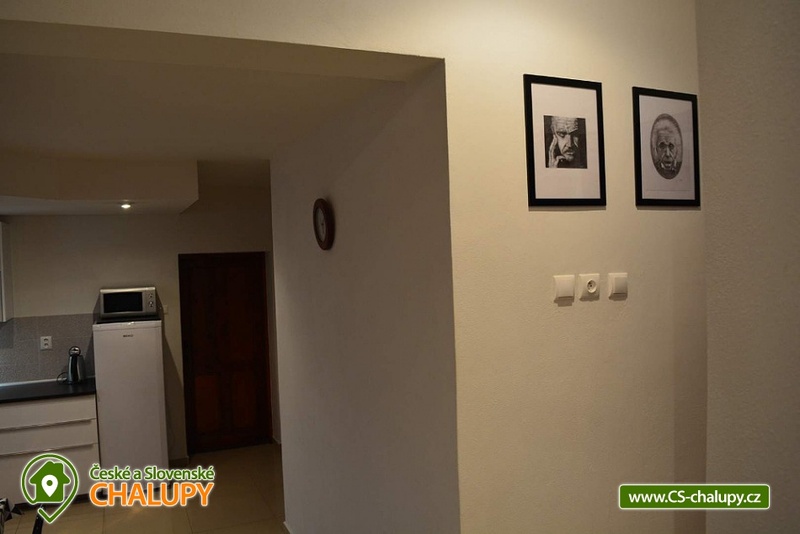 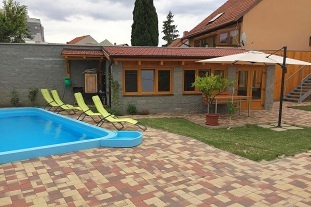 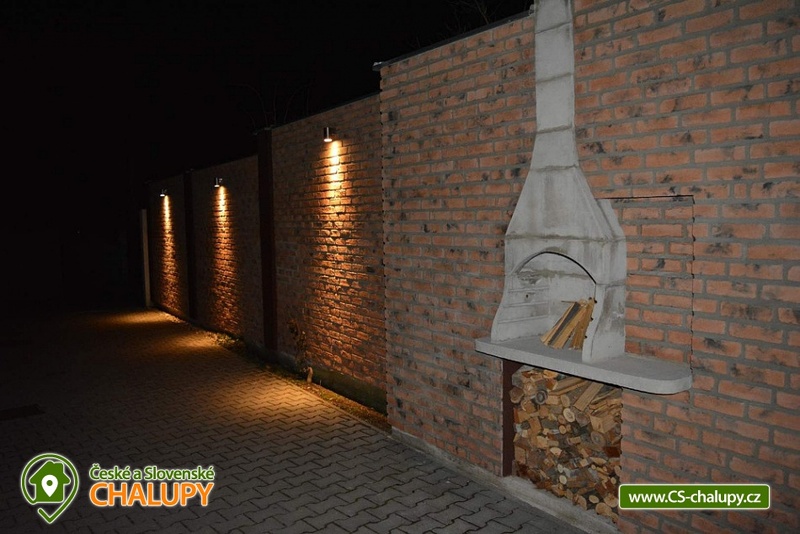 Pension Smolenice - accommodation with swimming pool Malé Karpaty. 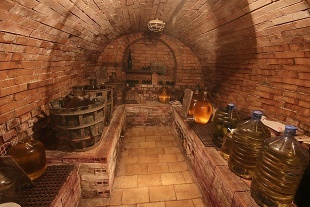 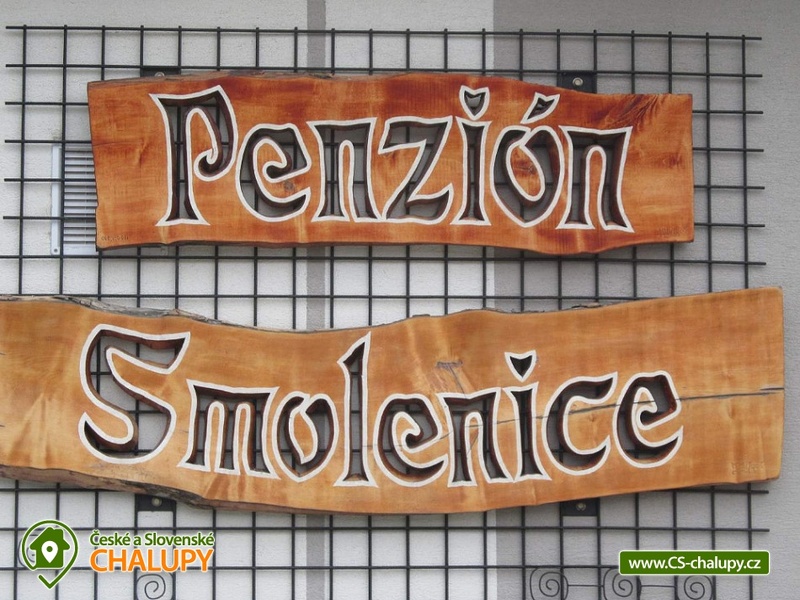 Pension Smolenice is located in the beautiful surroundings of the Lesser Carpathians, on the outskirts of the picturesque village Smolenice and only 2 km from the charming Smolenic castle. 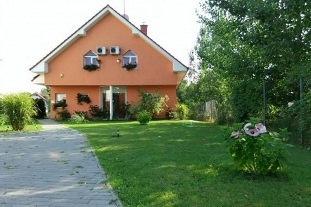 Thanks to its very good location close to various attractions and rich opportunities for active recreation in the surroundings it is an ideal choice for lovers walking, mushrooming, hiking or exploring the natural and cultural-historical gems of the region. 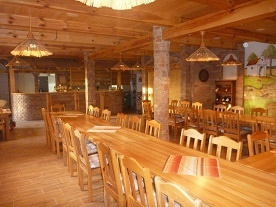 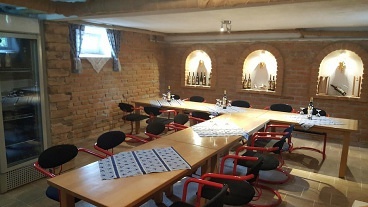 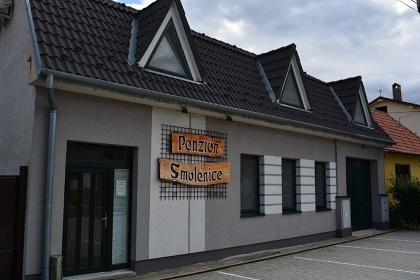 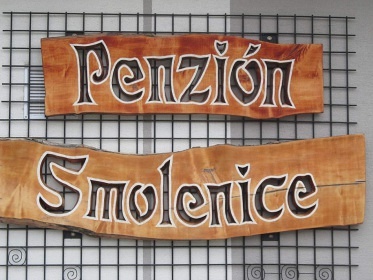 All year round we offer you pleasant accommodation in Pension Smolenice with a total capacity of 18 beds. 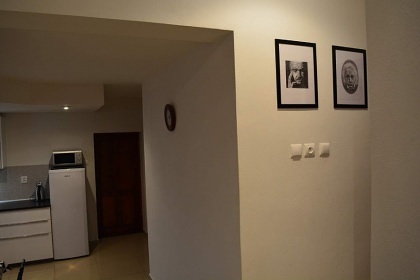 Guests are happy to enjoy comfort and convenience in three separate rooms (two double and one 3-bed) and three suites (two 3-bed and one 5-bed). 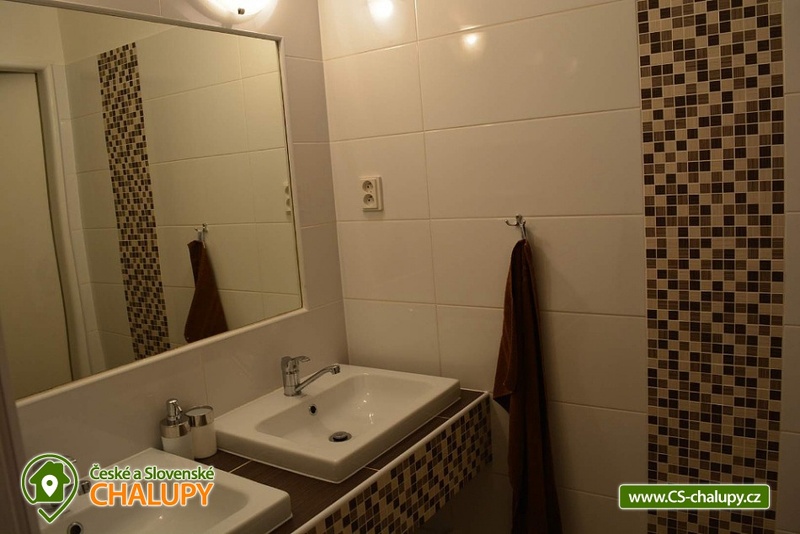 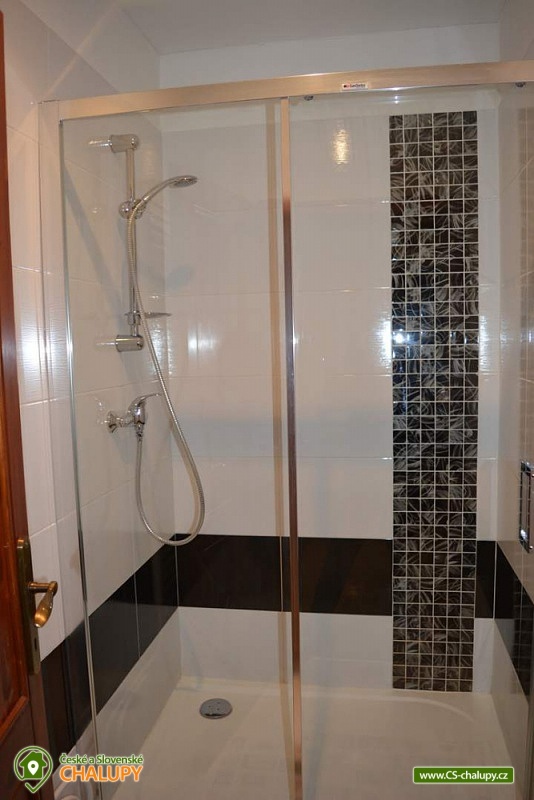 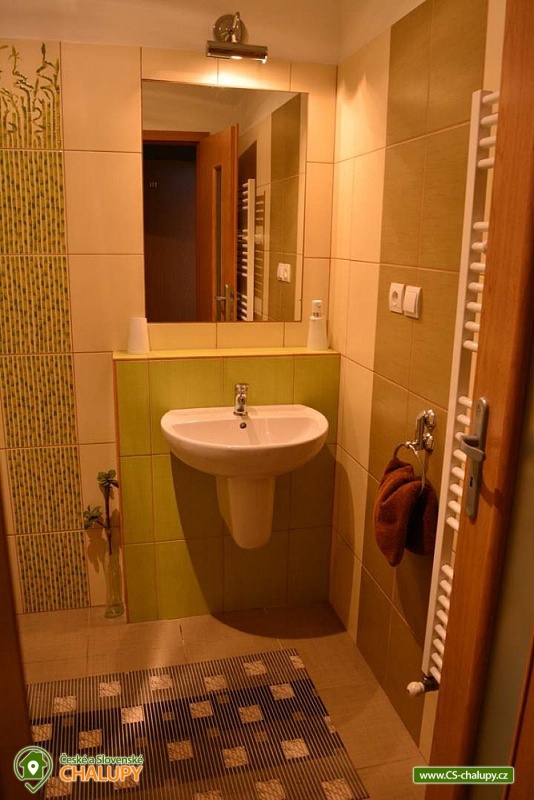 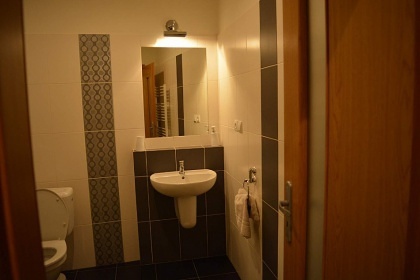 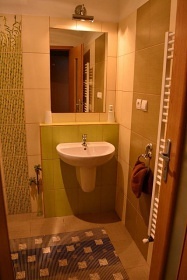 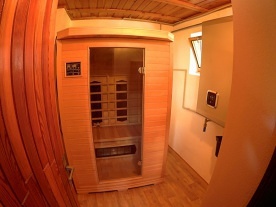 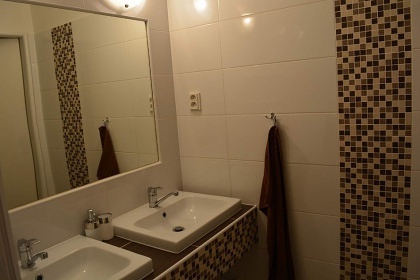 Each room and apartment is equipped with a satellite TV and a private bathroom with a toilet. 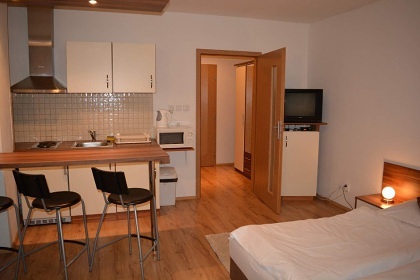 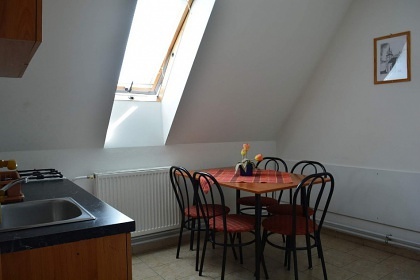 The apartments are additionally furnished with balconies and fully equipped kitchens. 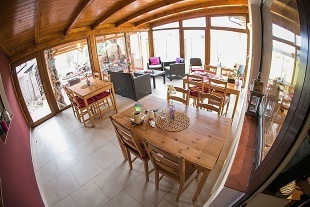 One more shared kitchen serves guests from separate rooms. 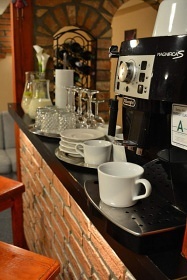 In its equipment, as in apartment kitchens, guests will find everything needed to prepare a tasty meal or snack. 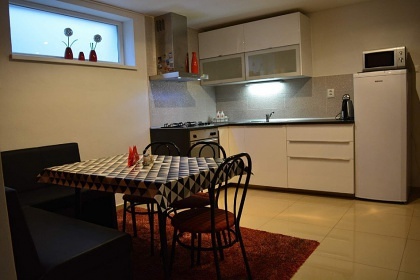 An electric / gas stove with oven, fridge / freezer, microwave, coffee maker, electric kettle, full kitchenware and dining area can be used here. 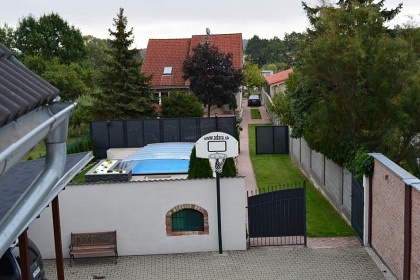 Of course there is also the possibility of using WiFi Internet connection. 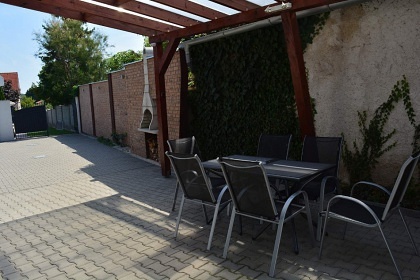 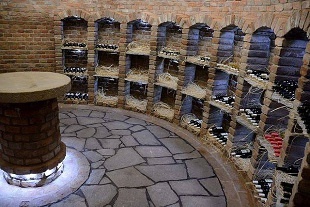 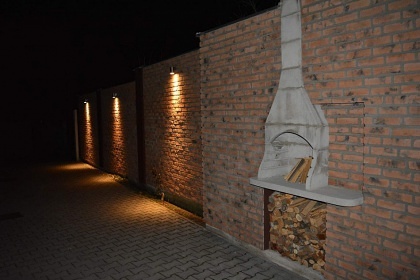 In the outer part of the building with a terrace, a sitting area and open fire, guests can indulge in savoring their favorite sausages or playing basketball, table tennis or borrowing a bicycle to take a short look around. 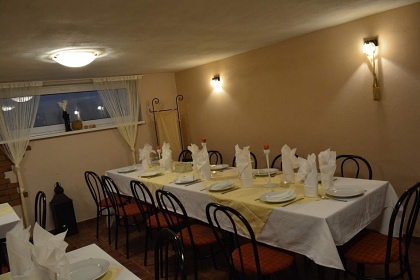 Just a few dozen meters from the accommodation are local food, restaurant and bus stop. 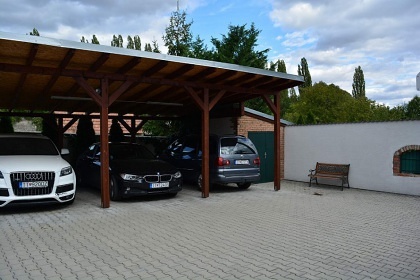 Comfortable parking of your cars is possible right in the courtyard of the guesthouse. 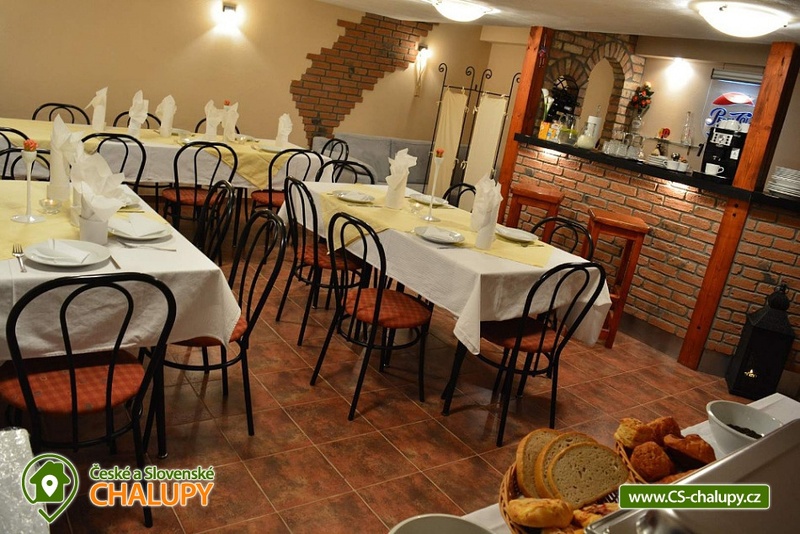 If you are looking for a holiday full of relaxation and comfort combined with comfortable accommodation, we cordially invite you to our visit and we look forward to your visit! 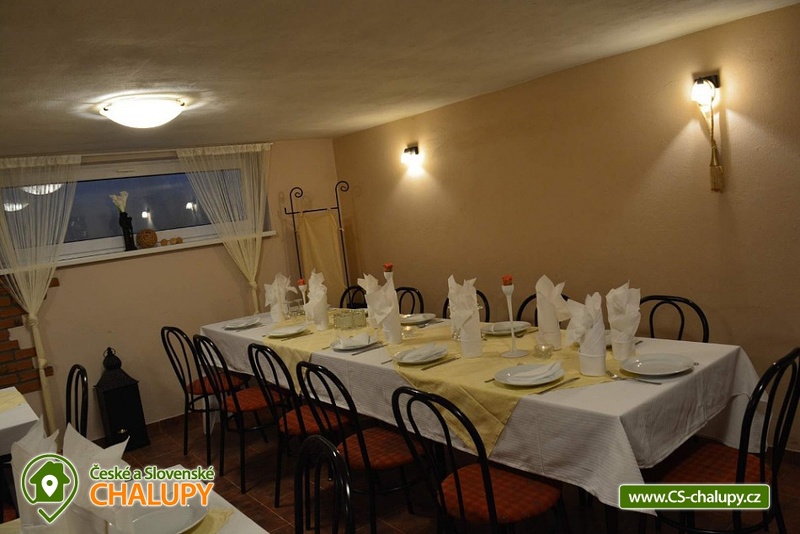 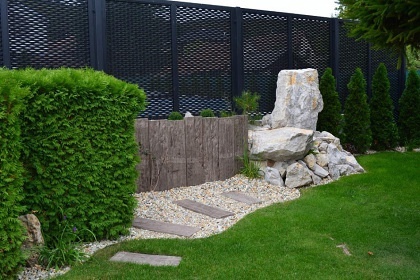 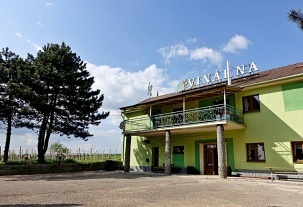 You can enjoy your stay here, for example, by learning a walk along the sidewalk to Molpír hill, climbing on the Rock of Havraní, visiting the castle with a pond or the nearby ruin of Ostrý Kámen Castle. 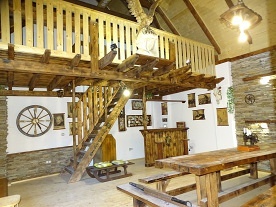 An unforgettable experience, however, will be a visit to the Dřina Cave, where the company will make you local bats. 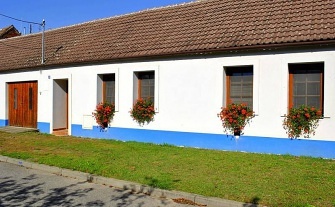 Bicycle enthusiasts can also come here on their own thanks to well-marked biking trails around the area. 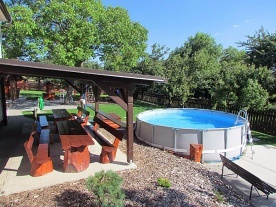 Particularly in the summer hot months, guests enjoying swimming, water sports and romantic boating can enjoy the nearby water reservoirs Horné Orešany and Buková holidays.